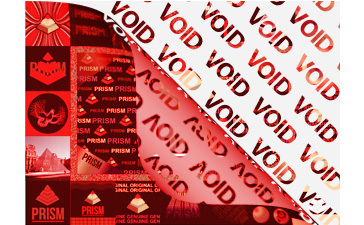 Traditional holographic labels have a metallic look and shine to them which gives them their brilliant appearance. But what if a product or brand required a non-metallic, holographic colored label that still behaved like a hologram without the distinctive metallic look? Fortunately, we can make this possible. There are only a small handful of companies around the world who can produce these labels, and we’re proud to be one of them.